On this show we have an author with us. This is a big statement because, to me, there are few people who can see the collapse like authors. When I say “see” I am not giving the credit that’s due. As an author you must use all your senses and bring the collapse to life under your pen. That is a challenge but its also one of the only ways you can truly explore what a fallen world would look like. In the same way that sci fi writers have predicted so much about our future, these great prepper authors unveil things about this unique journey. Therefore, it would only be fitting that we talk about the collapse with Shelby Gallagher. We will also discuss prepping for such events, a woman’s point of view for surviving a lawless and brutal world and her new book A Great State. Listen to this broadcast or download “Bringing the Collapse to Life W/ Author Shelby Gallagher” in this player! 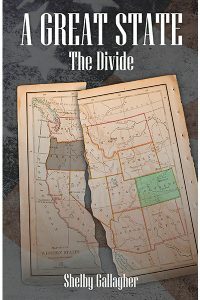 SYNOPSIS: A Great State tells the story of Julie, a woman living deep inside the Left Coast. A divorced mother with a teenage boy, Julie Atwood realizes the government-dependent community where she lives will soon collapse. To save her family, Julie must confront the trauma in her past, and develop the skills necessary to survive the coming disaster. Ripped from the headlines, with startlingly accurate predictions so far, author Shelby Gallagher takes the reader on a journey of healing, preparation, and survival. Julie must prepare, both physically and logistically, for the collapse she can see is building all around her. Along the way, Julie must face the ultimate question: How far will she go to protect and provide for her child? Previous: Previous post: News, History, and Narrative Oh My! Our Lady of Fatima said “the living would envy the dead!” Yes you can prep and should but can you keep it?